I’ll go to the closest bar and find a man who looks like you. His name won’t be your name; his mouth won’t be your mouth. But he’ll resemble you a bit, through the eyes, the curve of his throat. The way he futzes with his hair. I’ll say: Buy me a drink?, touch his forearm, lightly, with the back of my fingertip. He won’t sound like you, won’t laugh like you, that deep breathy chuckle that is barely laughter at all. 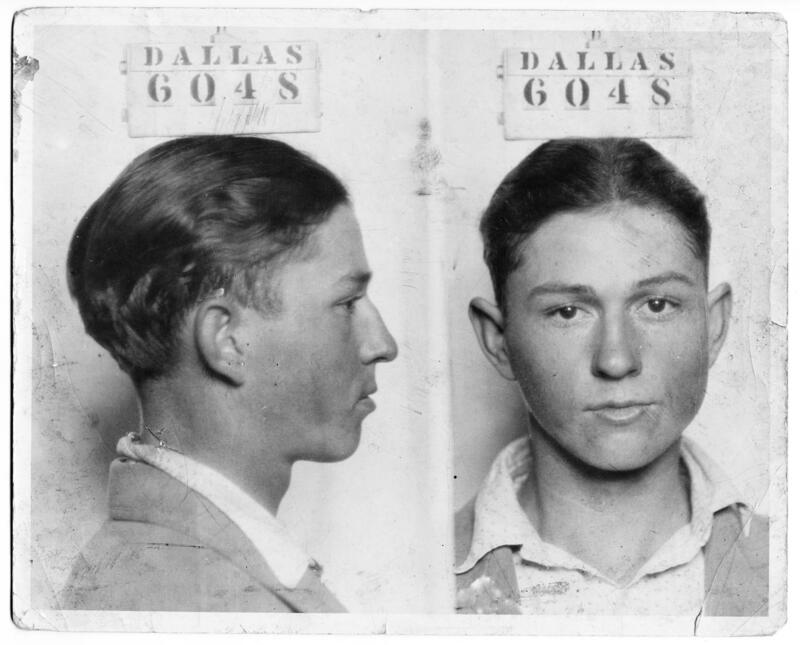 Did you know Clyde Barrow’s middle name was Chestnut? I’ll say to the man at the bar, his buttoned-up shirt, his thin fingers. He changed it to Champion. He wanted to be somebody. He wanted to be great. The man who resembles you — though not that much, really, especially when he speaks, the voice all wrong, the heaviness of his consonants, the dryness of his vowels — will say: I don’t know who that is. A bank robber, I’ll say. He was a bank robber. I’ll say: Take me back to your place? I’ll let the man who looks like you touch me, tear my shirt, pulling it from my body. His hands won’t be your hands; his skin won’t be your skin. He won’t have scars like yours. Not on his hands, not anywhere. He won’t call me Bonnie, won’t call me anything. He’ll drop me backwards onto his creaking bed, push a rumpled T-shirt onto the floor. Don’t, touch his face which won’t look so much like yours, not now, so close. Don’t say that. I’ll close my eyes when he enters me, think of your face, think of Clyde Barrow. Think of you dressed in that trench coat I bought for you, those wingtip shoes. The way you vaulted the counter at that small-town bank, like Dillinger would have done, pressed razor to the teller’s throat. Darling, you said to her, don’t you go and touch that alarm. The man who looks like you will want to hold me when he’s done, want to press his body against me, lying limp in his arms, thinking of how you had me hold the razor against your throat in the car before we went inside, how you wanted to know that fear. And my trembling hand, the way it drew blood on your skin, paper-thin cut that you said I should kiss off, my bloodstained mouth when we went inside the bank and I whispered, sorry, sorry, I’m so sorry. I don’t mind if it’s you, you said. After a while, I’ll pull away from the sleeping man, roll my bare feet onto the floor, slip my torn shirt over my shoulders. He’ll wake, whisper: Hey. Where are you going? He might sound more like you, then, than I thought at first. Or it is just that by then I will be forgetting the sound of your voice? The man will reach out for me, hook his arm round my waist, pull me back into his bed. I’ll close my eyes, think of the taste of your blood on my lips, the teller’s wide eyes, how you smiled, just that once, and I smiled back. The man will hold me by my waist and his hands will feel so small. I’ll lean back against him; I’ll think of you. I’ll say: Do you want to rob a bank? Cathy Ulrich prefers Depression-era bank robbers to Depression-era mafioso. Her work has been published in various journals, including Wigleaf, Synaesthesia and previously in Monkeybicycle. Follow her on Twitter at @loki_writes.